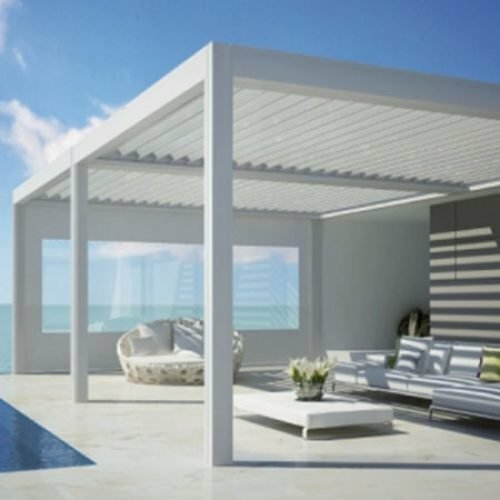 The stylish and minimalistic Lapure® terrace cover is a water-resistant sun-protection roof screen which rests on elegant and discreet aluminium columns (with no obtrusive joints) and is fitted to an existing wall. Protection from the sun, wind and rain! When the roof is closed the Lapure® provides protection from the sun, wind and rain. 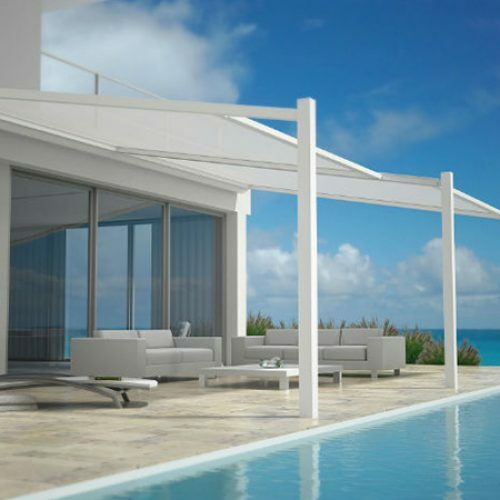 You can open the roof to enjoy the sun on your terrace without having to move the structure. There are two models of the Lapure®: one that drains water through side channels and columns, even when half-closed. And another model with a roof overhang beyond the columns, allowing you to enjoy as much shade as possible. As a result you also get enough shade when the sun is low (e.g. if fitted to a west-facing wall). A “coupled” version of both types is also available (option 3) so that two roofs can be installed perfectly next to one another so that they span across larger areas (1 column in case of coupled version). 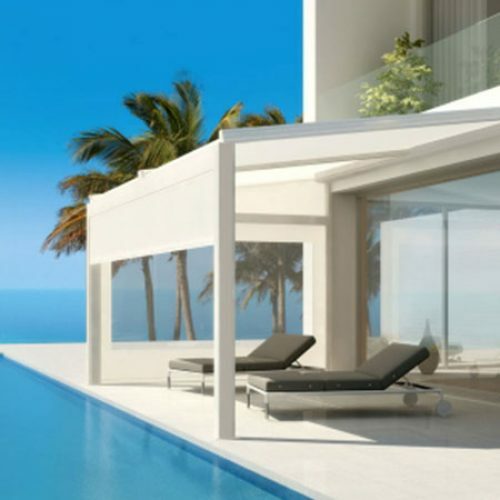 Your Lapure® has an innovative, waterproof, sunproof and translucent screen in the roof. 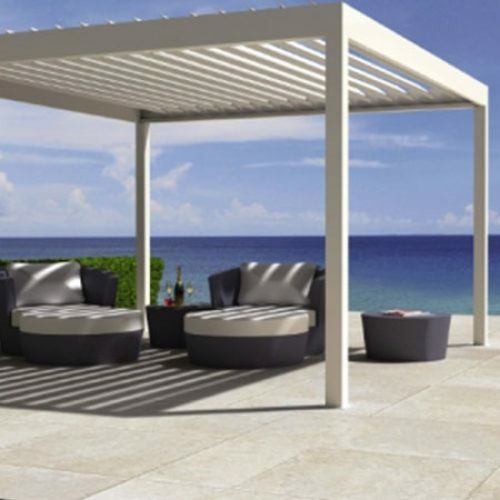 The screen fabric is coated on 1 side with a waterproof coating that is UV resistant. The screen fabric is available in 10 colours, 3 of which are exclusive Renson® colours.